There are two fundamentals in advertising a boat for sale. The first is to be clear that you’re advertising a destination not the airplane. Confusion on this point is the first man-hole trap that many vendors step into. It’s perfectly obvious that no-one in their right mind these days, travels for the experience of cramped airplane seats, muscle mangling leg-room, ghastly food and the horrors of jet-lag. If the travel experience is worth it at all, it’s due to the pleasures of the destination. However it is easy to forget that this principle applies equally to copywriting, particularly in the emotional turmoil that often accompanies the selling of a boat. The second vendor man-hole, no less critical to buyer response is the need for clarity about ‘the problem’. What you might say has ‘a problem’ to do with writing a killer headline? 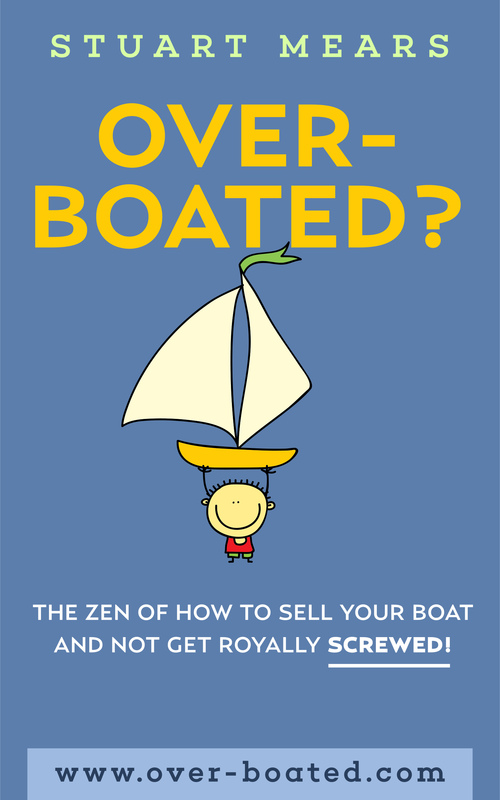 Clarity on the distinction between your problem as vendor and the buyer’s problem is critical to the success of your boat for sale headline; as it is indeed to the entire exercise of marketing your boat. The thing is, in the business of buying and selling, everyone has what might loosely be called for want of a better description, ‘a problem’. If you’re unlucky enough to be a desperate boat vendor, struggling to stave of bankruptcy, your problem is immediate and in your face. But so too does the boat buyer have a problem. Sure, it’s more subtle; not the great stinking wildebeest of a problem that confronts the cash-strapped boat vendor. Indeed the buyer’s problem might better be described as a ‘need’ or ‘itch to be’, ‘to experience’ or ‘to manifest’ something ill-defined within the buyer’s psyche. But the urge is just as real in driving the impulse to action. The point is that as a vendor advertising a boat for sale, the man-hole trap that many vendors unconsciously step into, is that of writing a headline that reflects their problem not the buyer’s problem. It is important not to make this mistake because such a ‘back-the- front’ headline never succeeds! 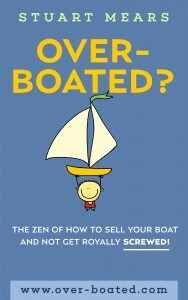 A boat for sale headline that describes the vendor’s problem is back-the-front. The fact is that no-one on God’s green Earth is interested in your problem as vendor, however urgent and pressing it may be to you. In fact the odds are pretty strong that your problem, if it is properly teased out, is actually ‘buyer repellent’. That is to say; proceed deep enough down that rabbit hole and your erstwhile buyer will be wanting to jump out of the first available window to escape your proximity. For these reasons the first step is always to develop a mental picture of the ‘probable buyer’. Who exactly is this likely buyer of your boat? What do they (it’s usually a couple), have in mind for their new life with your boat (the rationale by the way is invariably claptrap, because people buy boats for crazy, stupid reasons)? Where do they live? What kind of careers do they have? Do they have children? What kind of car do they drive? Even if your left hemisphere logical brain is screaming in rebellion, don’t hold back on this; relax and allow your imagination free rein. The question that arises is this. Behind this picture of the probable buyer that you have by now crafted out of the ether, what exactly in an emotional sense is this buyer’s problem? You’re probably thinking: what’s the point of all of this woo woo airy conjecture coming directly out of the field of imagination? Surely you say, the selling process is a linear mechanistic and sequential process; the meeting of the buyer and vendor, triggered by an advertisement placed strategically in a place most likely to capture the buyer’s notice: a case of cause and effect, non?. On the other hand, is it just possible that the process of imagining the probable buyer, ‘whispers up’ the actual buyer out of the quantum field of limitless possibility? Believe it or not a successful sale of your boat is most likely to arise out of activating both forces in tandem. You need all of the mechanistic steps to be fully developed and in place, including your dedicated boat web-site. And you need to cultivate as a discipline, the correct mind-set whereby with confidence and gratitude, you look back upon the (future) sale of your boat as having been achieved (past tense) to the ideal buyer and upon financial terms suitable to you. Time appears to be linear but the cosmic truth is that it isn’t! And money always flows to where it is made welcome. But I digress. The headline example I give in the book is the best actual case history example that I can think of, that illustrates a back-the-front headline that failed; replaced subsequently by a headline with an emotional hook into the probable buyer’s problem. So powerful was the latter that it delivered a huge depth of response. By the vendor’s account, the vessel could have been sold many times over, merely on the strength of the headline. Get your boat for sale headline right and you’re half way home. It should be clear that your headline is potentially worth big money. And yes… it’s not always easy to do when it’s your own boat. Maybe you want some help? Email the editor and we’ll see what we can do for you.